Once relegated to bathtubs and backwoods hideouts, moonshine is in the midst of a renaissance. The versatile liquor is now widely available in a dizzying array of flavors and makes frequent appearances on cocktail menus around the country. 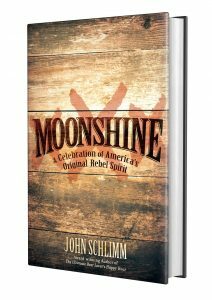 Folks looking to expand their knowledge and appreciation for the essentially Southern tipple can now turn to Moonshine: A Celebration of America’s Original Rebel Spirit (Citadel Press, 2018), by John Schlimm (who is, unsurprisingly, a member of one of America’s oldest and most historic brewing families). From its revolutionary origins to its role in the creation of NASCAR, Moonshine dives deep into the origins of American moonshine from its very beginnings through its first heyday in the 1920s and right up to the current moonshine revival. In addition to the origin story, Moonshine offers cocktail aficionados and home cooks alike over 100 infusion and cocktail recipes. Infusions include everything from sweet summer berries to tropical mango, as well as unlikely ingredients like rose petals and dandelion flowers. Once you’ve made some infusions, you’ll want to try them out in some cocktails (though sipping on them neat is encouraged). Some of the intriguing cocktails include the Moonshine Monkey (pineapple infused moonshine with amaretto, rum, and fresh fruit juices) and a moonshine-spiked Bloody Mary. Another memorable drink from Moonshine is a playful take on the campfire favorite: s’mores. 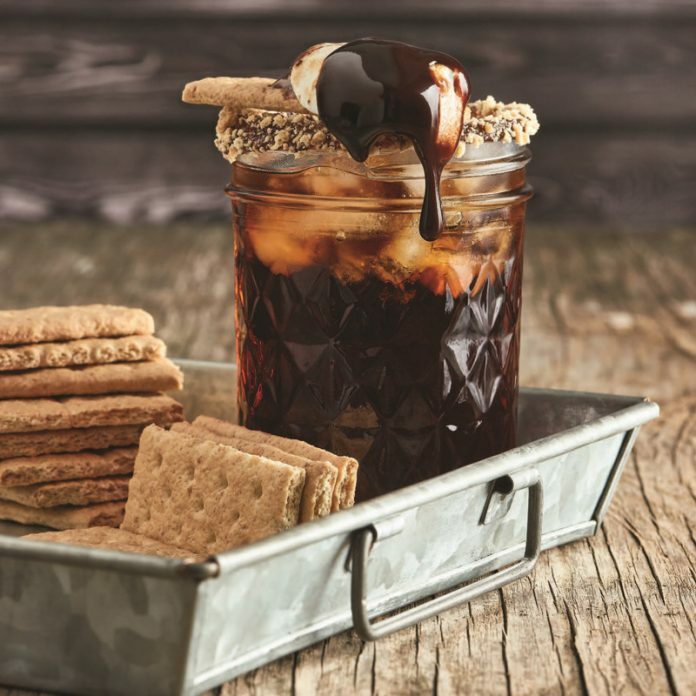 The Smokey Mountain S’more cocktail uses a marshmallow-infused moonshine along with chocolate liqueur (and a side of graham crackers) to give an adult update to the childhood snack. Moisten the rim of a small Mason jar with water. Then press the rim into the cocoa. In a shaker filled with ice, combine the moonshine and liqueur, shaking well. Strain into the Mason jar. if desired. Garnish with the marshmallows and chocolate bar on a skewer laid across the top of the rim. Serve graham crackers on the side. *This recipe has not been tested by Hoffman Media test kitchens. 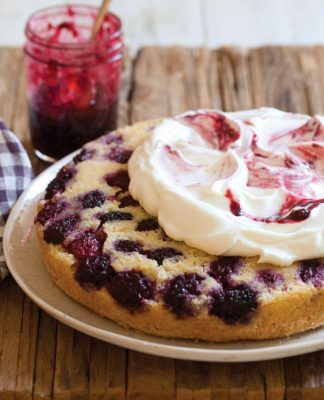 Find more delicious recipes like this one in John Schlimm’s book Moonshine: A Celebration of America’s Original Rebel Spirit. 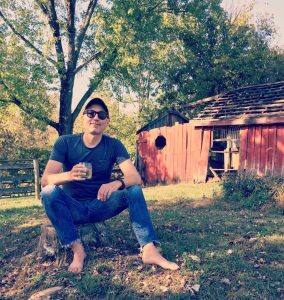 Learn about everything from the roots of this popular liquor in the hollows of Appalachia to its headlining status today as a pop culture icon. 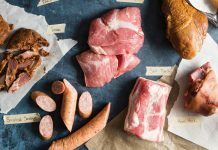 Preorder your copy today for a dream stash of 100 recipes for infusions and cocktails using moonshine as the main ingredient. 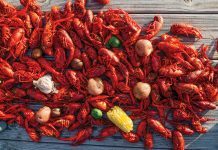 Plus, other fun-starters throughout the book include moonshine-themed playlists and a how-to for throwing an unforgettable moonshiner’s movie night. Available on Amazon, Barnes & Noble, and your local independent bookstore.